Indications for and techniques of keratoplasty at Vietnam National Institute of Ophthalmology. Dong PN, Han TN, Aldave AJ, Chau HM. Int J Ophthal. 2016;9:379-83.
International outcomes of the Boston type I keratoprosthesis in Stevens-Johnson Syndrome. Alexander JK, Basak SK, Padilla MDB, Aldave AJ. Cornea 2015;34:1387-94. The International Use of the Boston Type I Keratoprosthesis. Kim MJ, Bakhtiari P, Aldave AJ. Int Ophthalmol Clin. 2013;53:79-89. Introducing New Technology With an Eye on Sustainability. Pineda, R. Advanced Ocular Care. March/April 2012; 60-62.
International Results with the Boston Type I Keratoprosthesis. Aldave AJ, Sangwan VS, Basu S, et al. Ophthalmology 2012;119:1530-8. The Africa Experience: Role for ipsilateral autologous corneas as a carrier for the Boston keratoprosthesis. Ament JD, Tilahun Y, Mudawi E, Pineda R. Arch Ophthalmol. 2010;128:795-7. Global corneal blindness and the Boston keratoprosthesis type I. Ament JD, Todani A, Pineda R, Shen TT, Aldave AJ, Dohlman CH, Chodosh J. Am J Ophthalmol. 2010;149:537-9. Dr. Anthony Aldave interviewed by Islamic Republic of Iran Broadcasting TV4 during his visit to Tehran, Iran in November 2011. 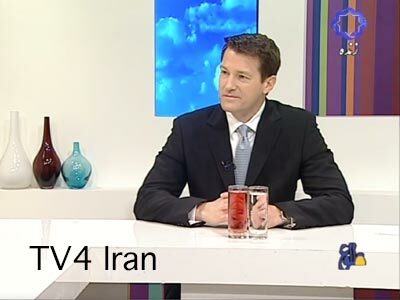 On November 19, 2011, Dr. Anthony Aldave appeared on the Iranian television network TV4 to discuss his participation in the 21st Annual Iranian Congress of Ophthalmology held from November 14-17, 2011 in Tehran, Iran. This was Dr. Aldave’s second trip to Iran (he was also invited to participate in the 19th Annual Iranian Congress of Ophthalmology held in November 2009 in Tehran, Iran), and during the interview he comments on his perceptions of the similarities and differences in the causes of and resources available for treating corneal blindness in the United States and Iran. 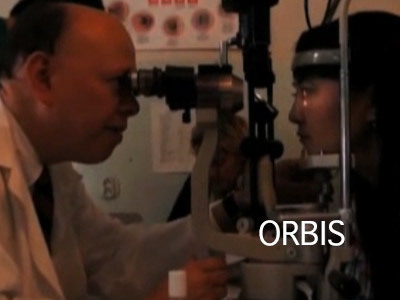 Dr. Roberto Pineda describes his 11th ORBIS program, an advanced cataract surgery training program in Ulaanbaatar, Mongolia.